As I mentioned in the last post, I rummaged through the bag destined for Goodwill – and spotted some stripes. 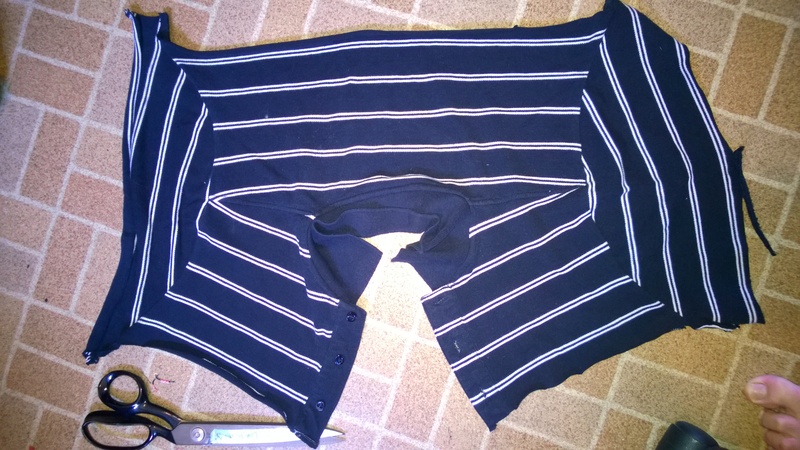 Chopped off the shirt in a straight(ish) line at the bottom of the armholes. Pulled it on and thought it would make a cute skirt. I needed more length than just adding a waistband, but wanted to keep the original hem and little side slits. So, I just started cutting as many pieces as I could get from the sleeves, and shoulder area. 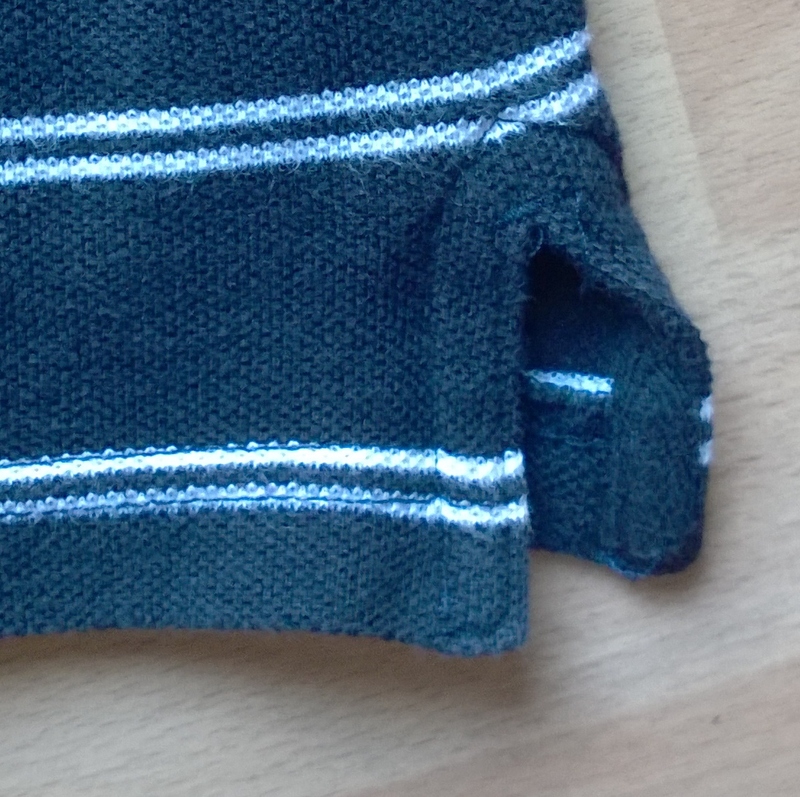 I overlocked them together with the stripes vertical, because I didn’t have big enough pieces to match the stripes horizontally, and hey presto…. a (not very beautiful, but functional) yoke. I used some lycra mix to make a pull-on band. Actually, I’ve been wearing it with longer tanks, so haven’t even shown the waist or yoke. 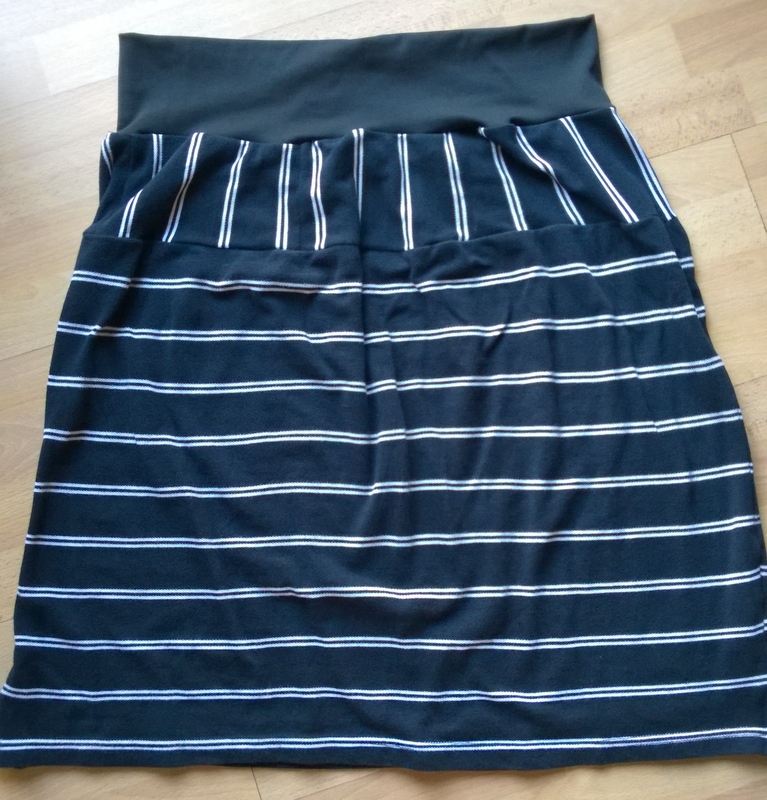 It was a quickie upcycle and not a meticulously put together garment, but I like the nautical vibe, and it’s really comfortable! 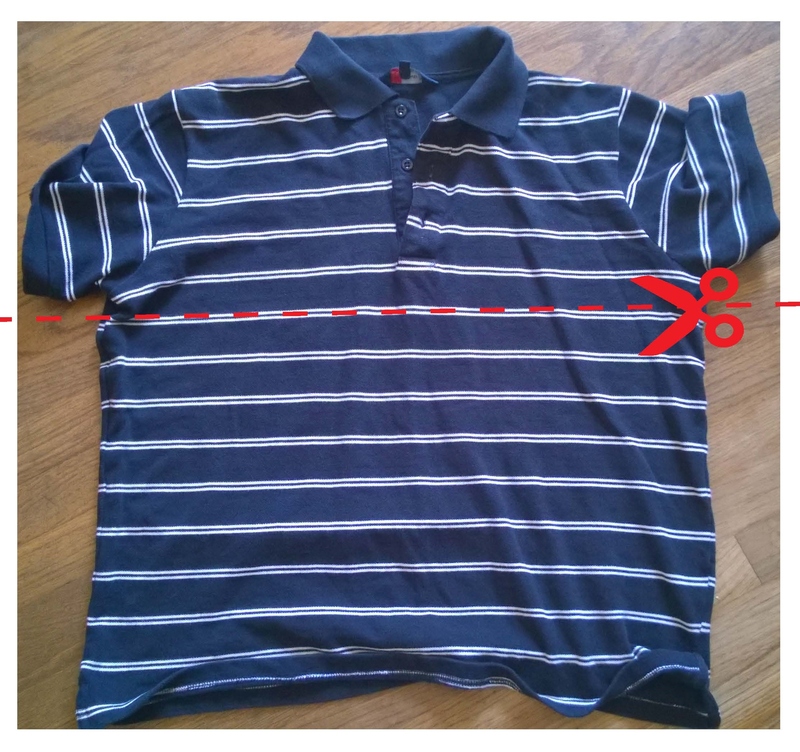 Posted in Uncategorized and tagged polo shirt restyle. Bookmark the permalink.